Even in tough economic times, pet lovers prove their dedication to their furry companions as sales of the Royal Treatment premium shampoos, conditioners, and grooming products disappear from shelves faster than they can be restocked. Prince Lorenzo Borghese, animal activist and founder of the Royal Treatment line of natural and organic pet products, says sales are up despite poor economic forecasts, proving that pet owners’ love for their animals trumps recession woes. 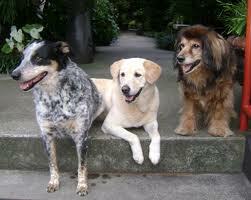 Prince Lorenzo Burghese developed his famous line of organic pet care products 10 years ago, in Italy. In an economy that has seen most Americans tightening the proverbial budget belt in recent years, sales of Royal Treatment luxury pet care products continue to shatter records, proving that doting pets owners are brand loyalists when it comes to their pooches. Luxury pet products have continued to trend upwards over the past three years, and sales of Royal Treatment’s 16 shampoo “flavors” (including organic Honey and Oatmeal, and Pink Grapefruit), top-shelf grooming products like Italian Virgin Olive Oil Bath Spritz, and three moisturizing wipes (Coconut and Vanilla, Papaya and Aloe, and Lavender and Cashmere) are selling out in record volumes. Borghese points to an almost 20 percent increase in sales for the first quarter of 2012 at RoyalPetClub.com the online retailer of Royal Treatment products. Of the 16 different shampoos developed and sold exclusively by Royal Pet Club, Borghese says the company is currently sold out of eight. Groomers are up in arms as the company recently sold out of all grooming size shampoos, and of the three Royal Treatment moisturizing wipes, one is sold out and the other two flavors won’t last through May. Part of the Royal Treatment products’ popularity among pet lovers is the high quality of the ingredients, developed in Italy using organic elements and natural fragrance oils. Borghese originated the line 10 years ago in an effort to create an organic, pH balanced shampoo and moisturizing formula for his own dog’s sensitive skin. Once pet lovers in the U.S. gained access to the Royal Treatment products without having to make a special trip to Italy, the line became an instant hit, and now Royal Treatment loyalists refuse to use anything less. However, Borghese says it’s harder than ever to find some of their favorite products, and the company is doubling up its efforts to restock. Borghese, a vocal animal activist who travels the world promoting animal welfare programs, lends a welcome voice to a multitude of charitable organizations whose mission is to improve the quality of life for the planet’s animal population. His Royal Treatment Italian Pet Spa line was named the official grooming line for the 2012 Pre-Westminster Fashion Show in February which raised money for Animal Care and Control of New York City. He has also teamed with Animal Aid of the United States veterinary partners to fund low cost spay, neuter, in low income housing areas. Borghese’s Royal Pet Club donates $2 from every new customer, and 5 percent of profits from Royal Treatment pet care products to support this spay/neuter program throughout the country. To learn more about Royal Treatment and Royal Pet Club visit RoyalPetClub.com. To learn more about Prince Lorenzo Borghese click here. Prince Lorenzo Borchese, founder and president of Royal Pet Club and Royal Treatment Italian Pet Spa, is passionate about the well being of animals everywhere. 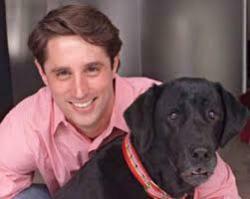 His line of pet-friendly organic products were originally created for his beloved Black Lab, Belle. 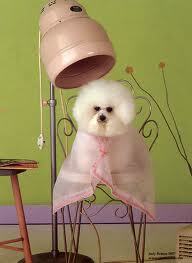 For nine consecutive years, Royal Treatment has been the most successful pet line on the HSN shopping channel. A vocal advocate of spaying and neutering programs, Borchese donates five percent of Royal Pet Club profits plus $2 for every new customer to Animal Aid to support spay and neuter programs across the U.S. Through this program, families unable to afford the cost of having their dog spayed or neutered will be able to have the procedure done for free by a top veterinarian in their community. Borghese’s line of Royal Treatment products were developed to support pet wellness with premium, natural dog shampoos, conditioners, and other organic pet grooming supplies. Borghese’s Royal Pet Club is the online destination for the Royal Treatment line’s natural pet spa and wellness products. Made from the finest organic ingredients and fragrance oils, Royal Pet Club’s pet grooming products have been developed with the help of leading cosmetics manufacturers, world-renowned veterinarians, and other pet experts from around the world. Formulated in a cosmetics laboratory on the outskirts of Tuscany, Italy, all Royal Treatment grooming products are pH balanced for pet’s sensitive skin. Borghese has worked with numerous animal welfare organizations including North Shore Animal League, the ASPCA and Animal Care and Control of NYC. He is co-founder of NYC4ACC, a group of young professionals who organize fundraisers for this city shelter, and an ambassador to the American Humane Association. Borghese recently co-chaired the Humane Society of America’s live paddle auction with its CEO, Wayne Pacelle, and together they raised $250,000 for the Animal Rescue Team. He is president of Animal Aid of the United States, a not-for-profit organization Borghese recently formed. For more information, visit the Royal Pet Club website, or Email John Falkenberg. Royal Treatment Luxury Pet Care Products Healthy, shiny coats, soft, supple skin and the great outdoors - all these three dogs need to feel great. Pampered.